Is Cohu, Inc. (COHU) A Good Stock To Buy Right Now? The Insider Monkey team has completed processing the quarterly 13F filings for the September quarter submitted by the hedge funds and other money managers included in our extensive database. Most hedge funds have been producing disappointing net returns in recent years, however that was partly due to the poor performance of small-cap stocks in general. Well, small-cap stocks finally turned the corner and have been beating the large-cap stocks by more than 10 percentage points over the last 5 months.This means the relevancy of hedge funds’ public filings became inarguable, as they may reveal numerous high-potential stocks. The following article will discuss the smart money sentiment towards Cohu, Inc. (NASDAQ:COHU) . Is Cohu, Inc. (NASDAQ:COHU) ready to rally soon? The best stock pickers are certainly getting more bullish. The number of bullish hedge fund bets that are revealed through the 13F filings advanced by 4 lately. There were 10 hedge funds in our database with COHU holdings at the end of the previous quarter. 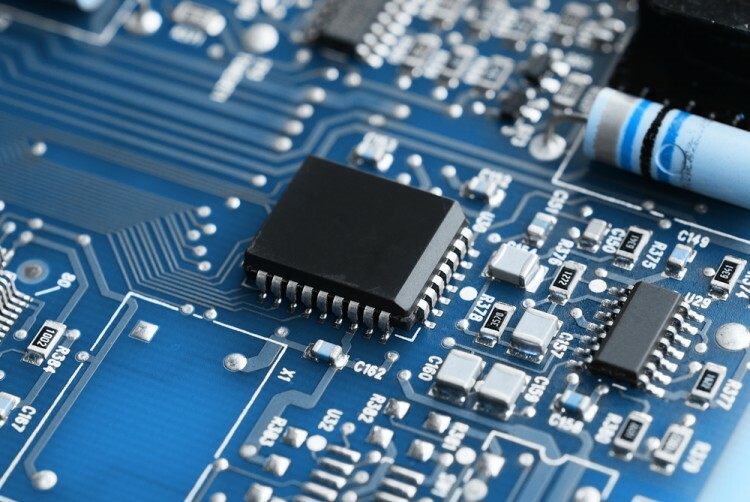 At the end of this article we will also compare COHU to other stocks including Jive Software Inc (NASDAQ:JIVE), LSB Industries, Inc. (NYSE:LXU), and RAIT Financial Trust (NYSE:RAS) to get a better sense of its popularity. With all of this in mind, we’re going to take a glance at the recent action surrounding Cohu, Inc. (NASDAQ:COHU). How have hedgies been trading Cohu, Inc. (NASDAQ:COHU)? At Q3’s end, a total of 14 of the hedge funds tracked by Insider Monkey were long this stock, a change of 40% from one quarter earlier. 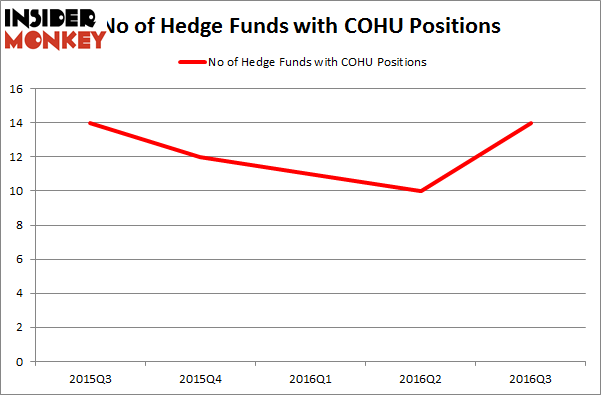 The graph below displays the number of hedge funds with bullish position in COHU over the last 5 quarters. So, let’s review which hedge funds were among the top holders of the stock and which hedge funds were making big moves. According to publicly available hedge fund and institutional investor holdings data compiled by Insider Monkey, Royce & Associates, led by Chuck Royce, holds the number one position in Cohu, Inc. (NASDAQ:COHU). Royce & Associates has a $11.3 million position in the stock, comprising 0.1% of its 13F portfolio. Sitting at the No. 2 spot is Renaissance Technologies holding a $6.1 million position; the fund has less than 0.1%% of its 13F portfolio invested in the stock. Some other hedge funds and institutional investors with similar optimism comprise Peter Rathjens, Bruce Clarke and John Campbell’s Arrowstreet Capital, Ernest Chow and Jonathan Howe’s Sensato Capital Management and D. E. Shaw’s D E Shaw. We should note that Sensato Capital Management is among our list of the 100 best performing hedge funds which is based on the performance of their 13F long positions in non-microcap stocks. Hedge Funds Are Growing More Bullish on Regional Management Corp (RM) Hedge Fund Interest in Companhia de Saneamento Basico (ADR) (SBS) Flatlines Boston Beer Company Inc (SAM): Hedge Funds Finally See Something to Like Again... Should You Follow the Smart Money Into Ritchie Bros. Auctioneers (USA) (RBA... Hedge Funds Are Pouring Into Sodastream International Ltd (SODA) Is Rexnord Corp (RXN) A Good Stock To Buy?